Our insulated 63 quart cooler is of high quality. It has compact white appearance. Made of reliable LLPDE and PU Foamed-Filled insulation materials, this cooler is really useful and practical. It can keep your food and drinks cold for an extended time, and make the fun last longer. 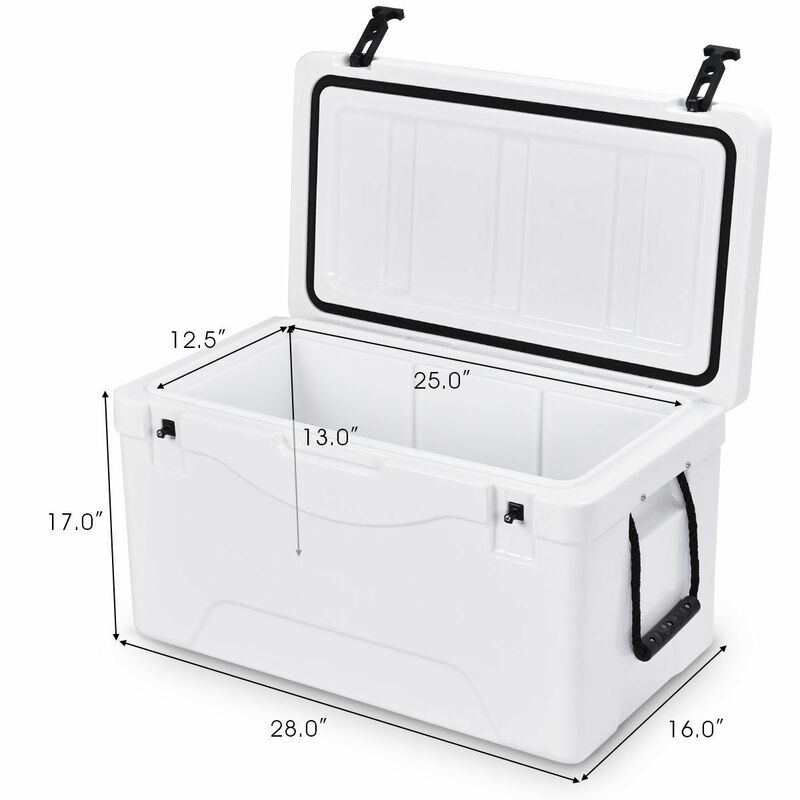 With 63 quart capacity, it provides enough space for you to store your foods, beverages and other things to eat. This cooler is also portable. It is very convenient for you to use. This cooler can keep your cold drink close while you enjoy the day. So donot hesitate! Come and buy one!